The University of Georgia Horticulture Department operates three greenhouse ranges in support of its teaching and research programs. 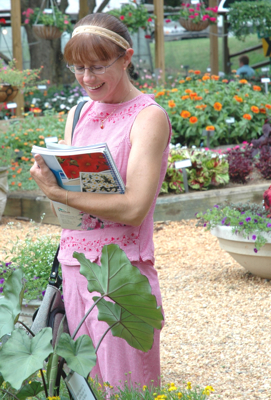 The newest of these, the South Milledge Greenhouse Complex, opened in 2008 and is located between the Georgia State Botanical Garden and the Livestock Arena on South Milledge Avenue. Although some research is conducted at this location, the main mission of the complex is to support educational activities. The three 3800-square foot Nexus greenhouses house plant collections, provide laboratory space for greenhouse management and organic agriculture classes and furnish greenhouse space for UGArden transplant production. The South Milledge Complex also includes a 32-seat classroom that is used for classes, workshops and departmental events. The Riverbend Greenhouse Complex consists of four houses built between the mid-1960’s and the early 2000’s. Greenhouse 13, a double polycarbonate structure, provides space for student independent research projects and for classes taught in conjunction with the Department of and Agricultural Leadership, Education and Communication. The Horticulture Club, our departmental student organization, maintains a Quonset greenhouse at the Riverbend Complex where they produce crops for spring and fall plant sales, the proceeds of which are used to fund student activities and field trips. The remaining two greenhouses at the Riverbend Complex provide space for student and faculty research projects including ongoing research on greenhouse irrigation and fertilization. Located adjacent to the UGA Trial Gardens, the Campus Horticulture Greenhouses are the oldest greenhouses on campus. Originally built in the 1940’s, they are primarily used to grow plants for the UGA Trial Garden and to provide additional greenhouse space for horticulture classes and laboratories. Although the greenhouses are not open to the general public, they are periodically available for viewing during tours, workshops and open houses. Watch for event postings.